Beautiful visuals, charming characters, and a compelling story are just a few reasons why Moana topped the box office over the holiday weekend. But it’s the songs from Lin-Manuel Miranda, Mark Mancina, and Opetaia Foa’i that made the movie really special. If you haven’t had a chance to see the movie (which you should do ASAP), you can check out one of the best sequences in the video above. 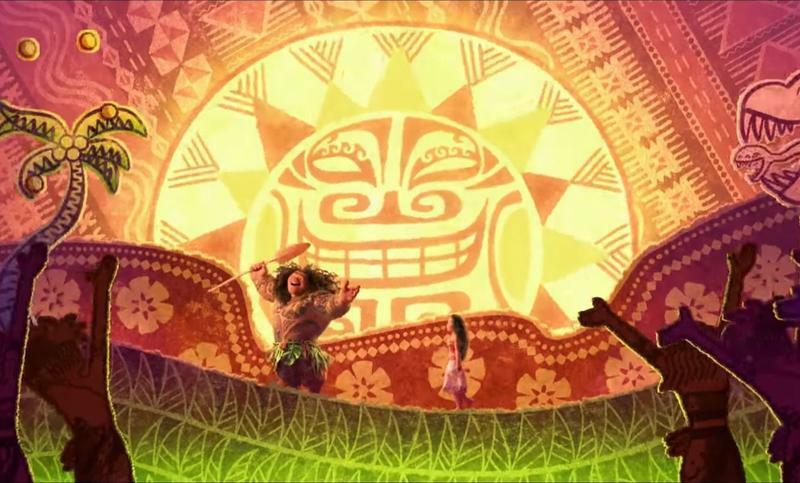 Everything about the scene, from the music to the beautiful art style, perfectly illustrates what makes Moana such a joyous film to watch. The song is called “You’re Welcome,” and features demigod Maui (Dwayne Johnson) boasting about the gifts he’s bestowed upon the human race. It’s just a small slice of what makes Moana such a charming, visually captivating piece of cinema. And, come on, it’s impossible not to do a jig while listening to the song. While I didn’t find it to be as good as Big Hero 6 or Zootopia, there’s no denying Moana is another major hit in a string of hits for Disney. And with songs like “You’re Welcome,” the film is already cemented in the pantheon of great musical hits.